Below you will find my ten of the best currency trading books and there not just for currency traders they are for any form of trading and apply to all markets. Any list of best currency books is of course subjective and this list is no exception. The list comes from reading thousands of books over the last 25 years. These books won't tell you how to trade or execute trading signals – building a currency trading system is a personal affair but they will run you through the concepts of trading and most importantly, the areas that many traders neglect namely – obtaining the right mindset for success, executing a trading plan with discipline and strict money management techniques. It's a fact that anyone can learn to trade and anyone can build a trading method but the areas that most traders neglect are in the mind. Traders generally fail due to poor money management techniques and lack of discipline. The books below are listed in no order of importance - but these ten books will in my humble opinion help anyone become a better trader. I hope you enjoy them as much as I did. Schwager interviews 17 trading legends including Richard Dennis, Paul Tudor Jones, Ed Seykota, Marty Schwartz, Tom Baldwin and others. One of the top-selling trading books of all-time and with good reason – if you can't learn from these guys you can't learn from anyone! Follows the same format as the original book - another host of trading legends share their insights and knowledge on trading the markets. Over 100 years old and a timeless lesson for those who think that market behaviour can be predicted. If you ever get the feeling that a market simply can't go any higher or lower read this book! Victor Sperandeo is one of those traders who piles up consistent gains year after year and here he shares his insight on everything to do with trading - from psychology, to trend following correctly, to money management. This book was the one that really rammed home to me how important discipline in trading is and how hard it is to achieve in terms of mindset no matter how well prepared you feel you are or how good your trading system is. The ideas and concepts in the book are well presented, if somewhat repetitive. The author examines the psychology of fear that often hinders traders achieve trading success. Traders either love this book or hate it but those who dismiss it have either not read it or have not taken a very close look at themselves. There are many different ways to make money but only a few ways to lose it. Part biography and part a lesson in money management – if you only thought money management was placing a stop you need this book. One of the most unique books you will ever read. It correctly points out that trading and investing are personal journeys of discovery; about finding out who you are, and then how to manage what you find and use this understanding to trade successfully in the markets. The reason why most traders never make money - it never occurs to them that trading is all about self knowledge not the method they are using. While visiting a turtle farm, legendary trader Richard Dennis had a bet with his big pal and trading partner - Bill Eckhardt that great traders didn't have to be born - they could be made. To settle the bet, they recruited a group of individuals from all walks of life, gave them accounts to trade, and trained them for two weeks - hence the Turtle Traders. The Turtles earned more than $100 million in less than four years. Here the most successful turtle Curtis Faith goes through the experiment in great depth offering his unique perspective on the experience, he explains why the Turtle Way works in today's markets and how to apply it. He also shares his wisdom on taking risks, choosing your own path, and learning from your trading mistakes. A typical book from Murphy, well thought out, well presented and over 500 pages on just about everything you could ever want to know about using technical analysis on FOREX, or any other financial market. This is a great reference book for any serious trader's book library. If you have read of the other “for dummies” books you know what to expect. A great introduction and a lot more insight to being a successful trader than you would expect from a beginners book - the perfect book for novice traders. We hope you enjoyed our list of the top books for FOREX trading and we hope you find them essential education. 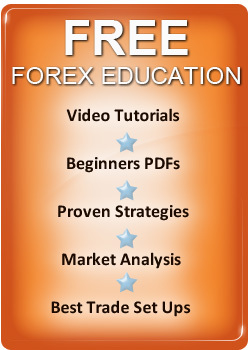 Read more of the best FOREX Book Reviews and get advice from the worlds best currency traders, to help you become a successful currency trader from home.